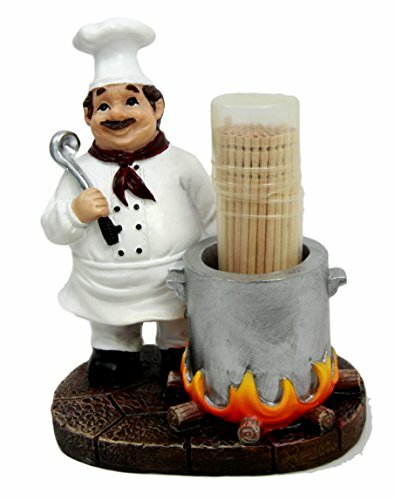 Get rid of that boring plastic toothpick container at your home and replace it with this Pot Chef toothpick holder figurine! This head chef is brewing a delicious stew in his flaming pot cauldron. Beautiful craftsmanship and detail highlights this excellent figurine brought to you at a very affordable price!